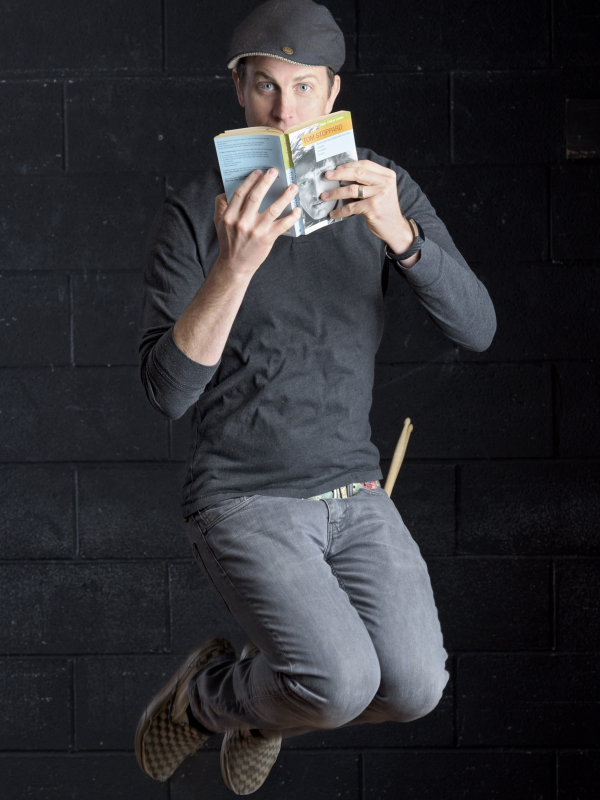 From the Oscar winner who gave us Shakespeare in Love, this wickedly funny companion piece to Hamlet turns Shakespeare inside out and shows the Dane’s story from the point of view of Hamlet’s school chums. Tom Stoppard serves up a feast of wordplay, wit, and slapstick while exploring the timeless questions about identity, illusion, and toe-nail growing. 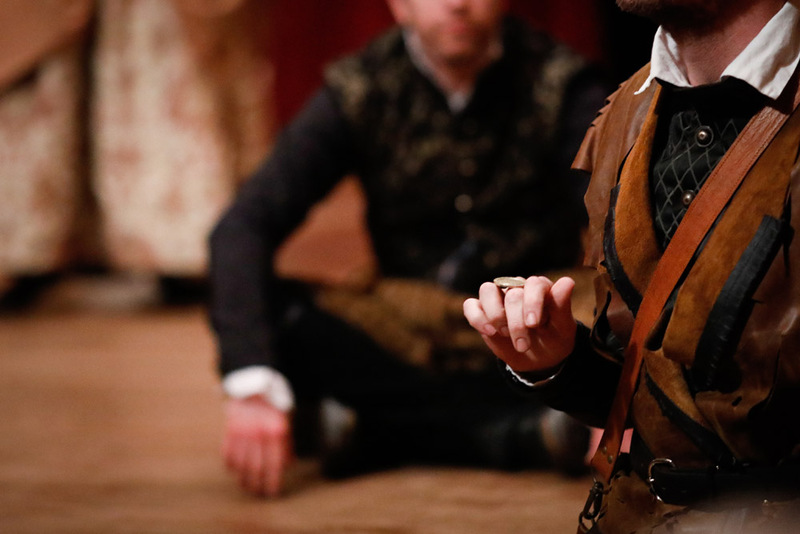 An instant classic, Rosencrantz and Guildenstern Are Dead won the 1968 Tony Award for Best Play, appeared on stages all over the world, and became a major motion picture. 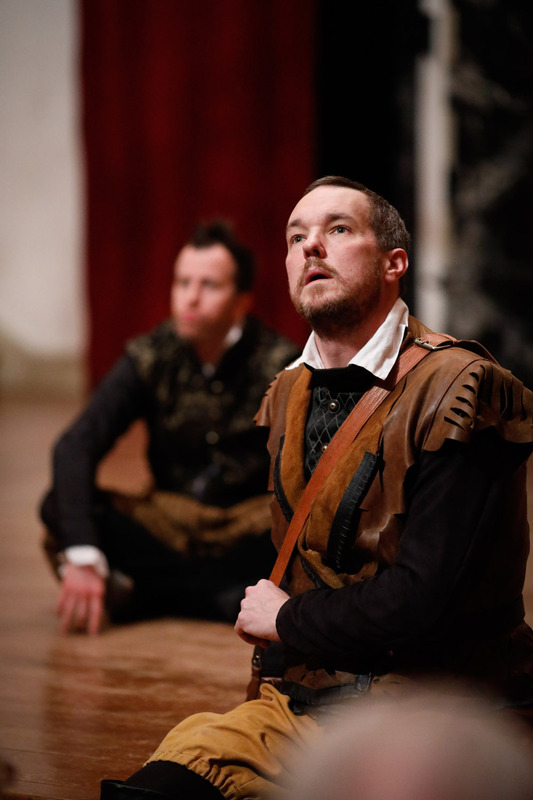 Chris Johnston as Rosencrantz and John Harrell as Guildenstern in ROSENCRANTZ AND GUILDENSTERN ARE DEAD. Photo by Lindsey Walters. 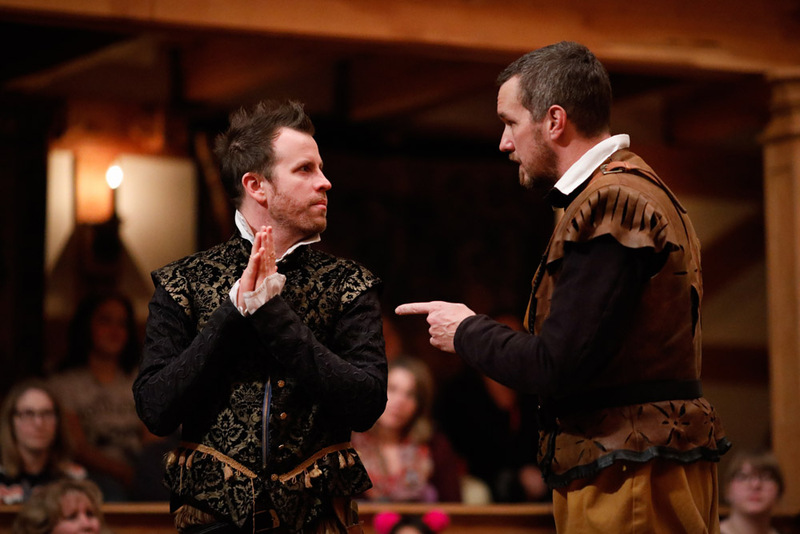 John Harrell as Guildenstern and Chris Johnston as Rosencrantz in ROSENCRANTZ AND GUILDENSTERN ARE DEAD. Photo by Lindsey Walters. 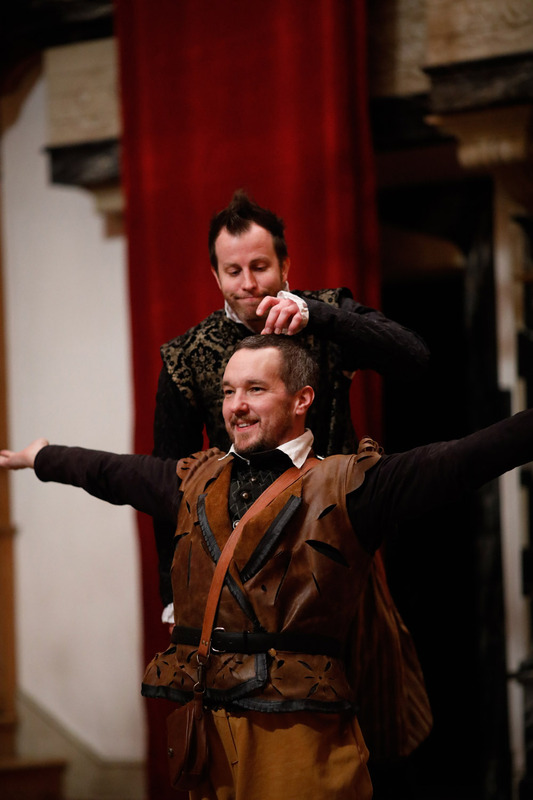 David Anthony Lewis as The Player and Chris Johnston as Rosencrantz in ROSENCRANTZ AND GUILDENSTERN ARE DEAD. Photo by Lindsey Walters. 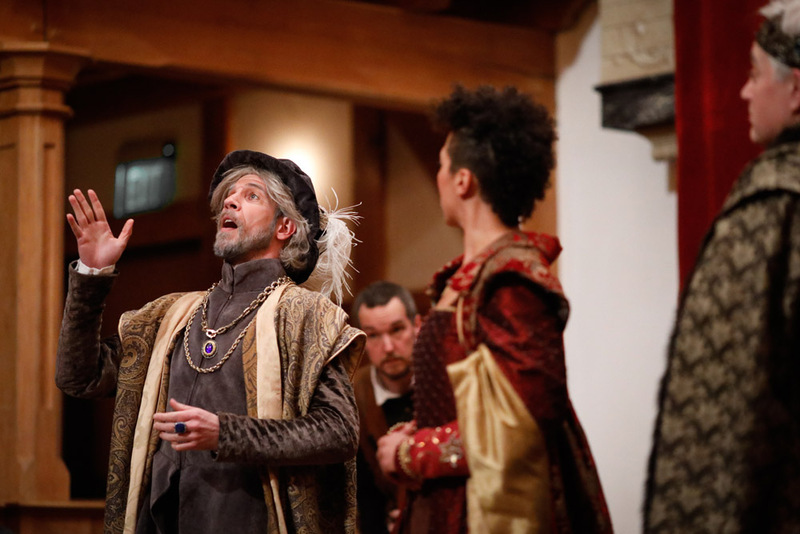 David Antony Lewis as The Player, Sarah Fallon and Allie Babich as Tragedians, Benjamin Reed as Alfred, Chris Johnston as Rosencrantz, and John Harrell as Guildenstern in ROSENCRANTZ AND GUILDENSTERN ARE DEAD. Photo by Lindsey Walters. Jessika Williams as Gertrude, Christopher Seiler as Claudius, and Chris Johnston as Rosencrantz in ROSENCRANTZ AND GUILDENSTERN ARE DEAD. Photo by Lindsey Walters. 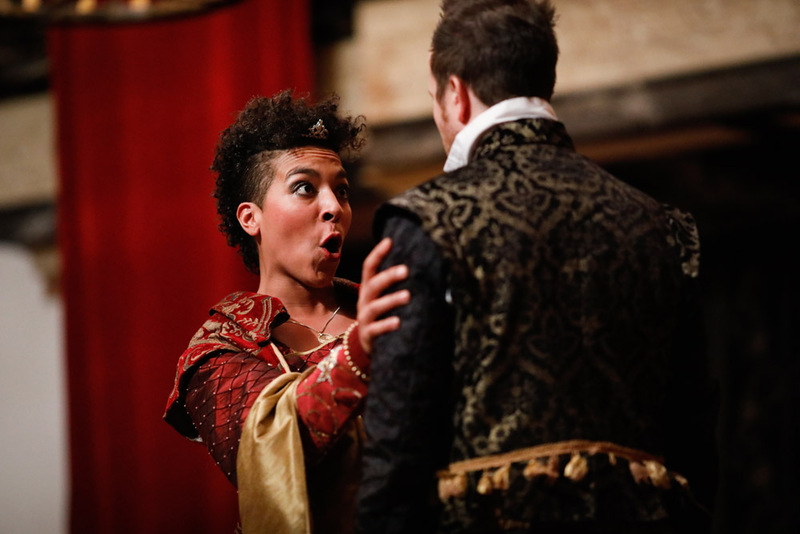 Jessika Williams as Gertrude and Chris Johnston as Rosencrantz in ROSENCRANTZ AND GUILDENSTERN ARE DEAD. Photo by Lindsey Walters. 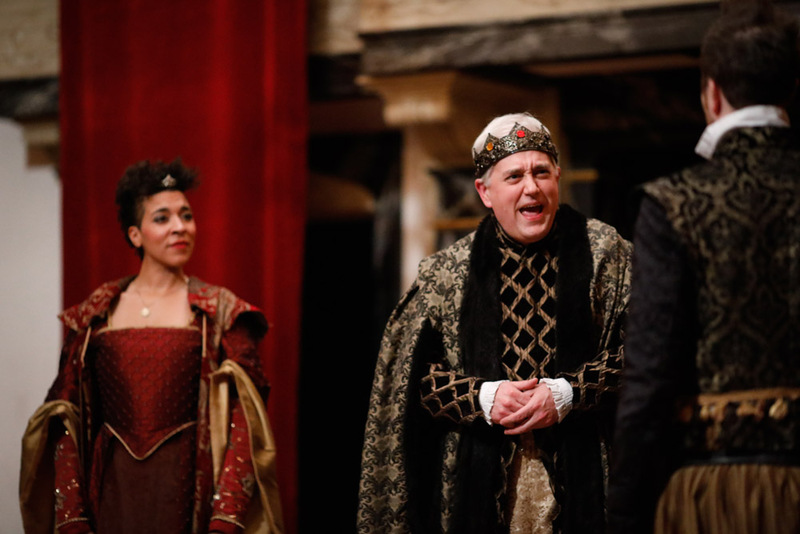 Tim Sailer as Polonius, John Harrell as Guildenstern, Jessika Williams as Gertrude, and Christopher Seiler as Claudius in ROSENCRANTZ AND GUILDENSTERN ARE DEAD. Photo by Lindsey Walters. 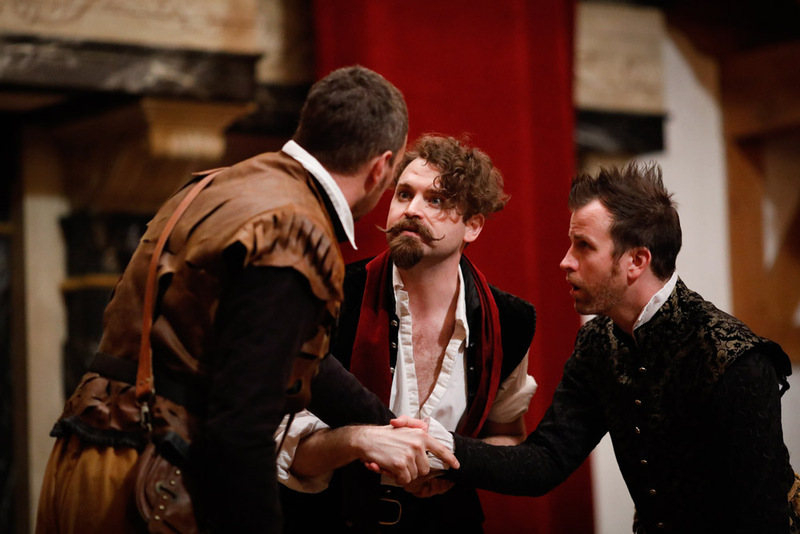 John Harrell as Guildenstern, Josh Innerst as Hamlet, and Chris Johnston as Rosencrantz in ROSENCRANTZ AND GUILDENSTERN ARE DEAD. Photo by Lindsey Walters. 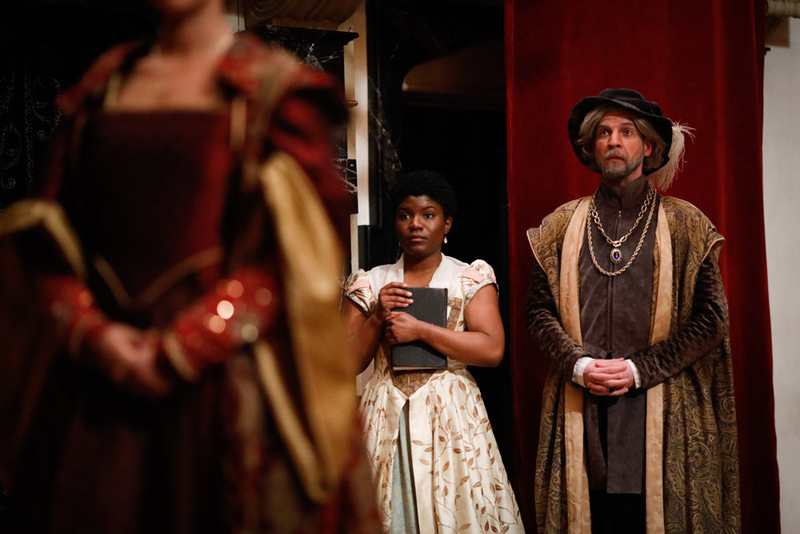 Shunté Lofton as Ophelia and Tim Sailer as Polonius in ROSENCRANTZ AND GUILDENSTERN ARE DEAD. Photo by Lindsey Walters. 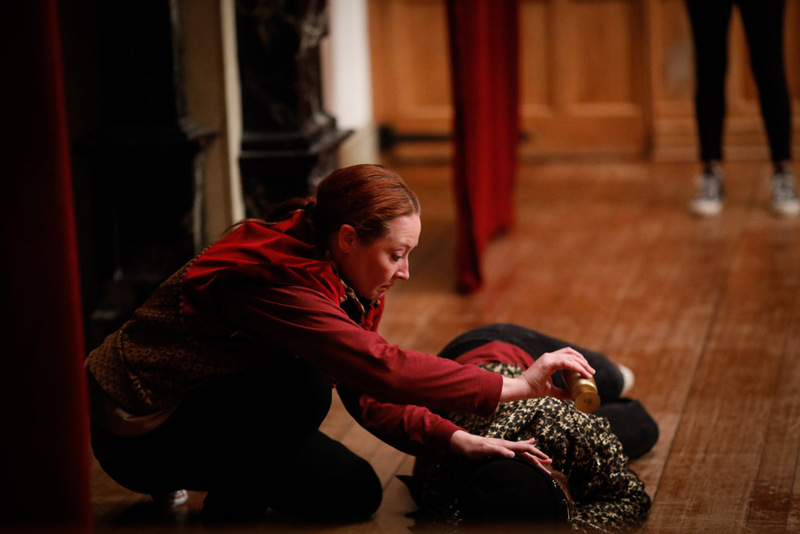 Sarah Fallon and Allie Babich as Tragedians in ROSENCRANTZ AND GUILDENSTERN ARE DEAD. Photo by Lindsey Walters. 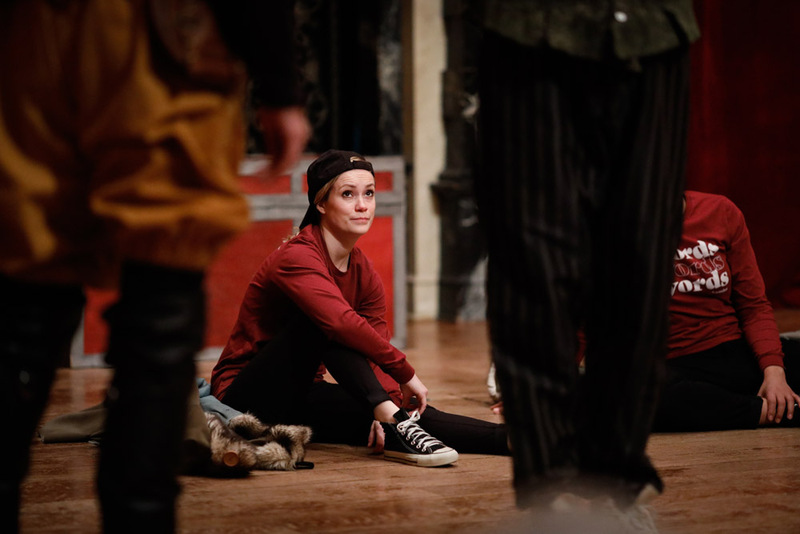 Lauren Ballard as a Tragedian in ROSENCRANTZ AND GUILDENSTERN ARE DEAD. Photo by Lindsey Walters. 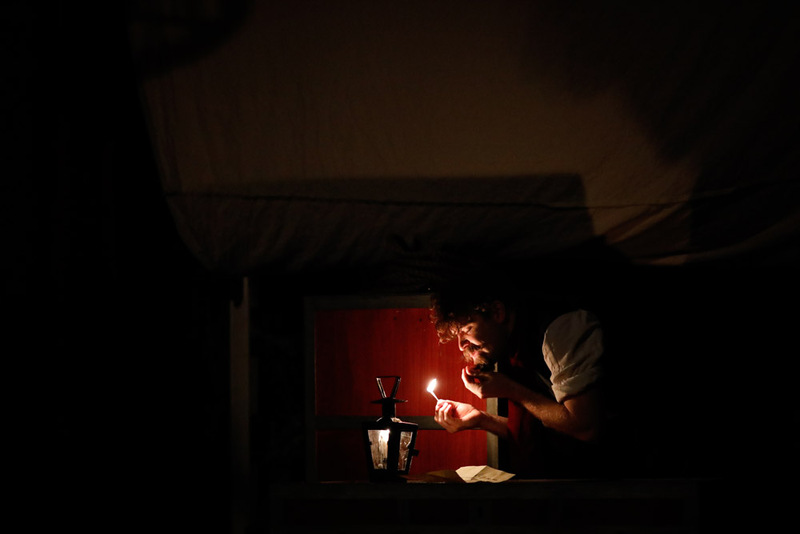 Josh Innerst as Hamlet in ROSENCRANTZ AND GUILDENSTERN ARE DEAD. Photo by Lindsey Walters. 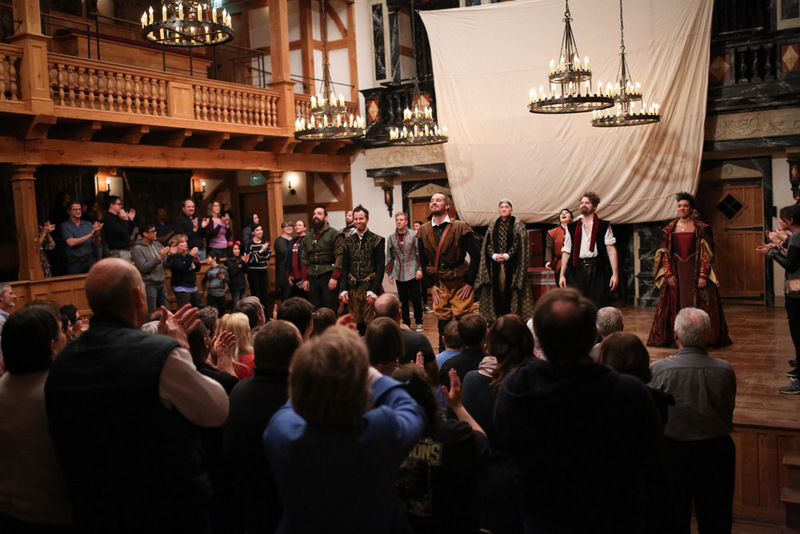 The cast of ROSENCRANTZ AND GUILDENSTERN ARE DEAD. Photo by Lindsey Walters. 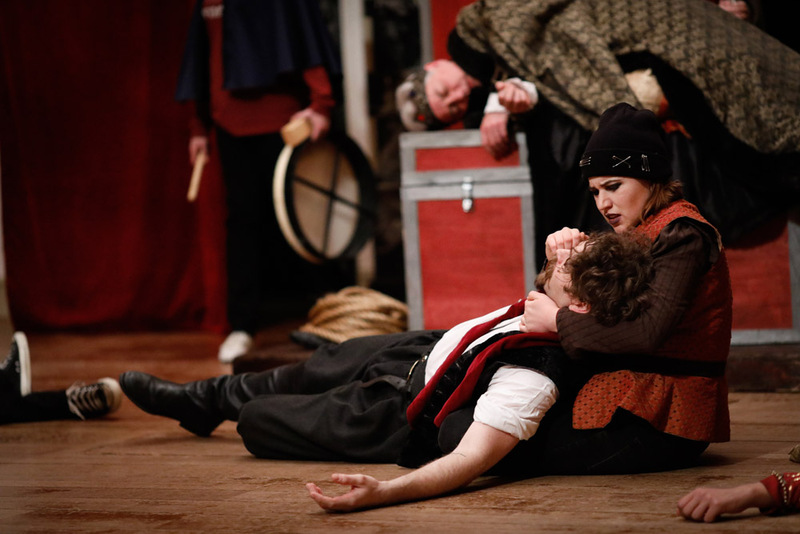 John Harrell as Hamlet and Allie Babich as Horatio in ROSENCRANTZ AND GUILDENSTERN ARE DEAD. Photo by Lindsey Walters. 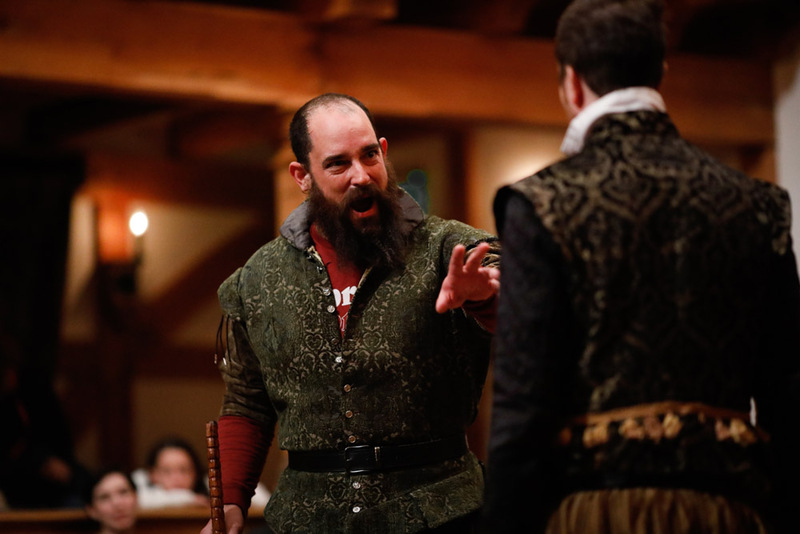 Prince Hamlet returns to court at Elsinore from studying at Wittenberg University. 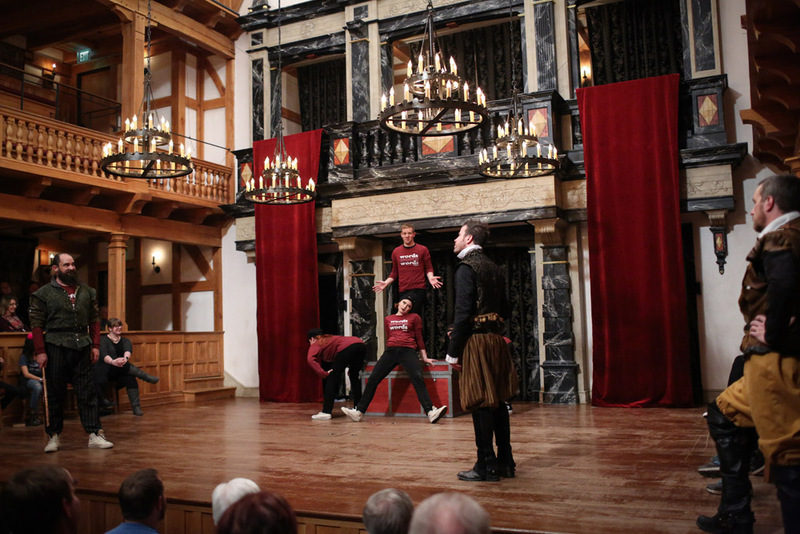 A troupe of traveling actors encounter Rosencrantz and Guildenstern and offer them entertainment. “Ophelia runs on in some alarm, followed by Hamlet. They both are mute. 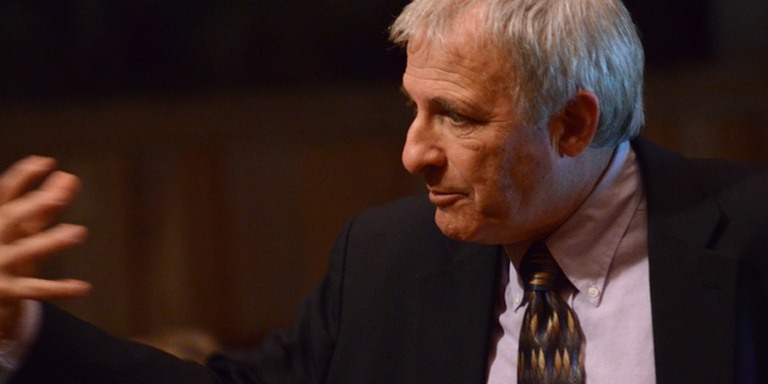 Hamlet, with his doublet all unbraced, no hat upon his head, his face as pale as his shirt . . . he takes her by the wrist and holds her hard.” Hamlet and Ophelia leave. 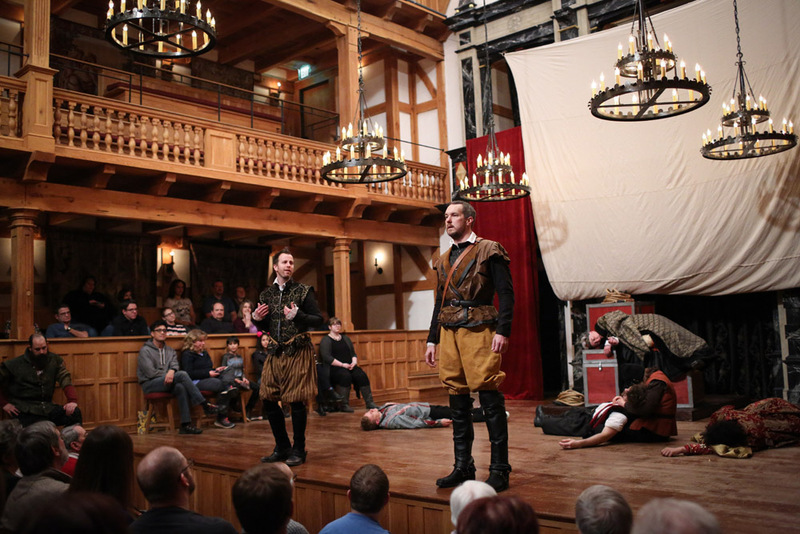 The King and Queen welcome Rosencrantz and Guildenstern and ask them to discover what’s troubling Hamlet; the King and Queen leave. 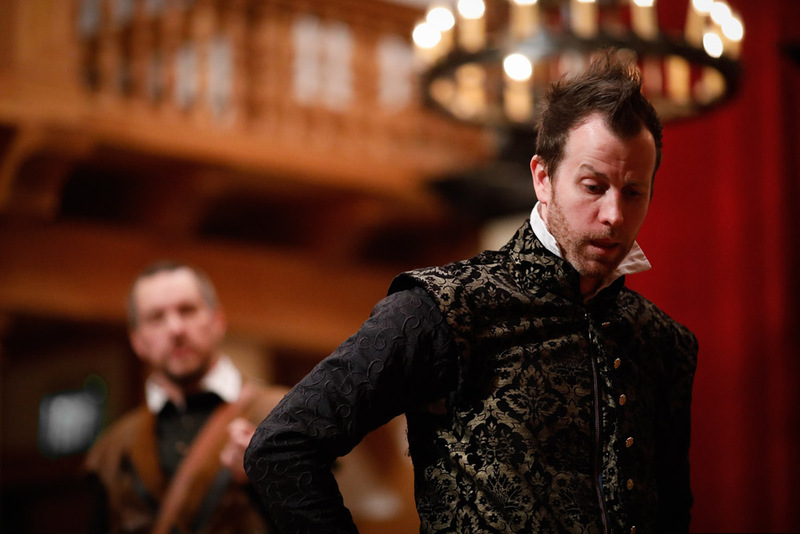 Guildenstern says he “thinks they’ve made some headway” in figuring out what’s troubling Hamlet. Rosencrantz disagrees. 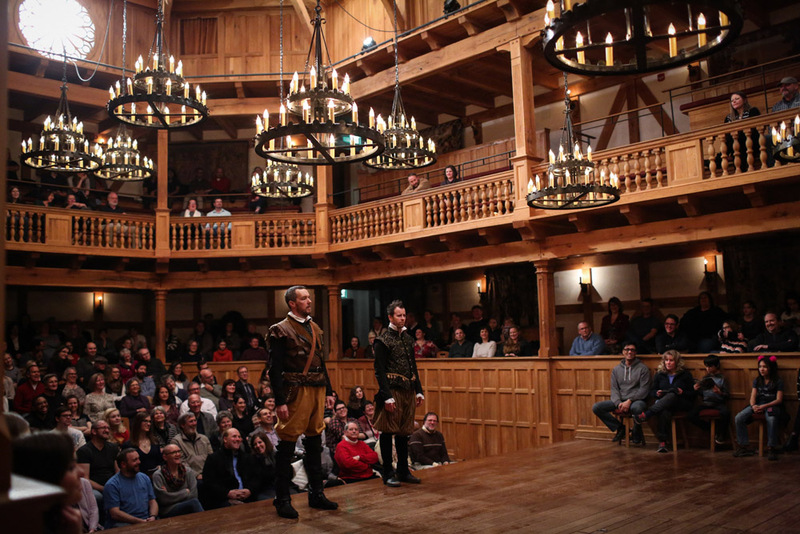 Much to the astonishment of Rosencrantz and Guildenstern, the rest of Hamlet ensues.